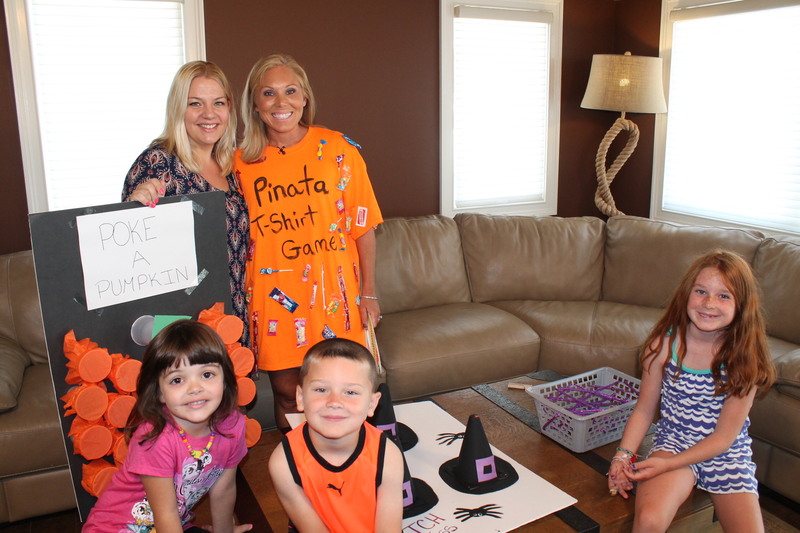 Have a fun Halloween Party with these kid’s party game ideas. 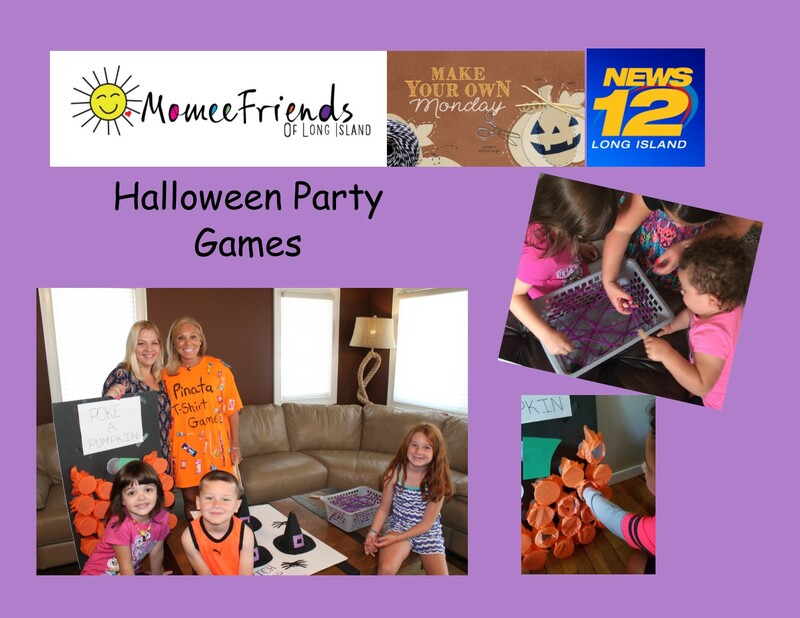 Whether your party is at home or in the classroom, kids and adults will enjoy incorporating these games into their Fall Fun! 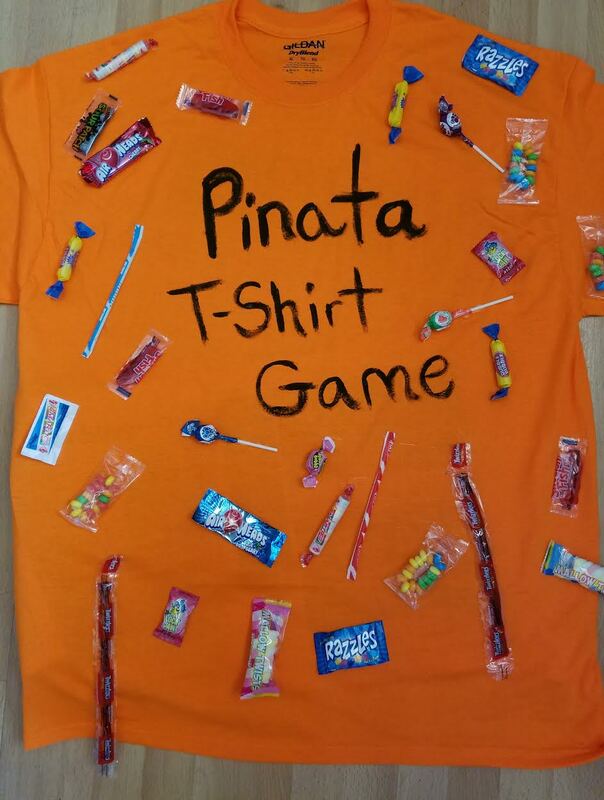 A fun twist to a piñata is attaching candy and toys to a bright-colored shirt and have someone be the piñata. A fun way to incorporate a game of tag with your piñata. Keeps everyone moving and laughing. First. place newspaper in between the shirt. You want to do this so the fabric paint or marker does not leak through and the shirt does not stick together once you start adding the candies with hot glue. 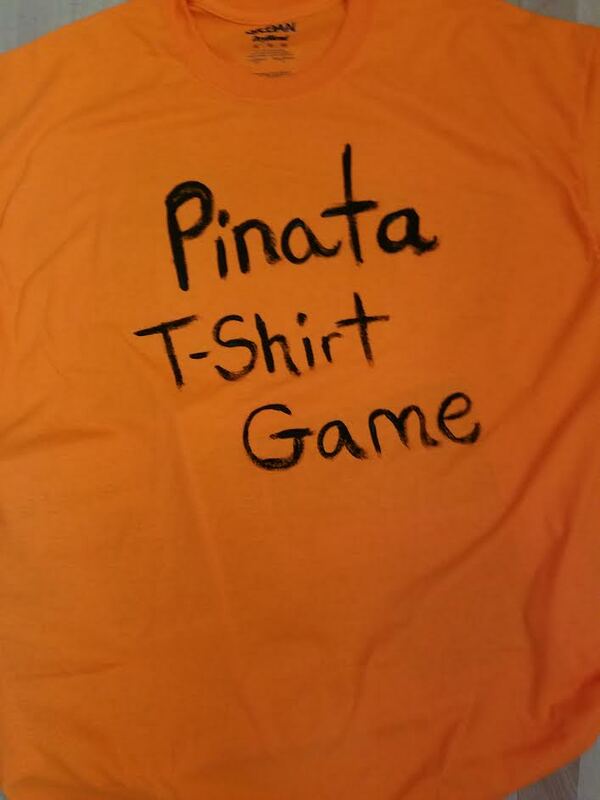 Create your shirt by writing Pinata T-shirt Game on your bright-colored t-shirt with fabric markers or paint. 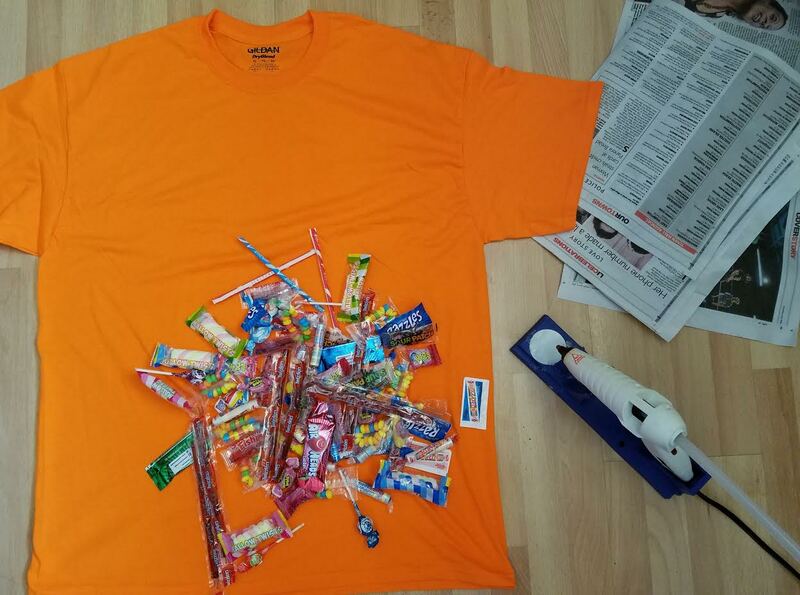 Add the candy to the shirt by hot glueing a small dot to the candy and then attaching it to the shirt. 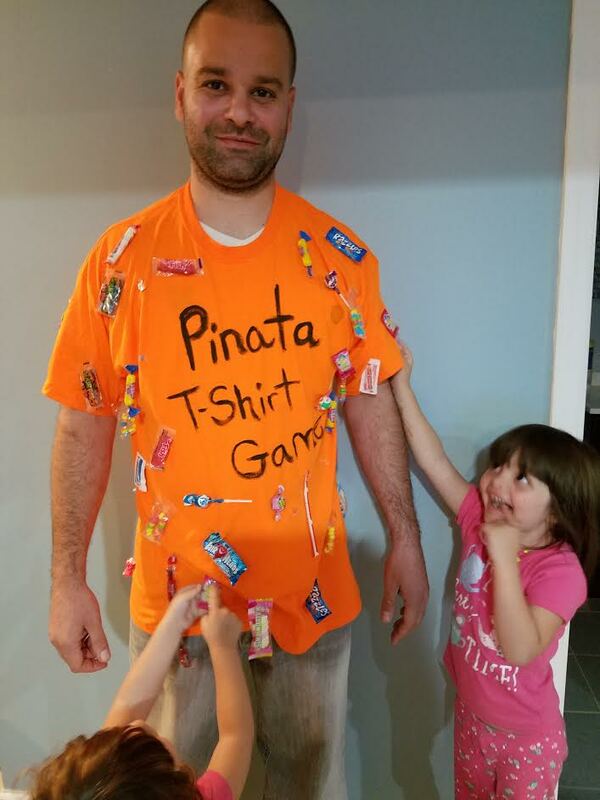 Cover the shirt fully with the candy. Wait about 10 minutes till you put the shirt on someone and then get ready to play. Pick a person to be the pinata. Then, play some fun music (optional) and have the person in the pinata run around as the guests of your party chase them around for get some candy. 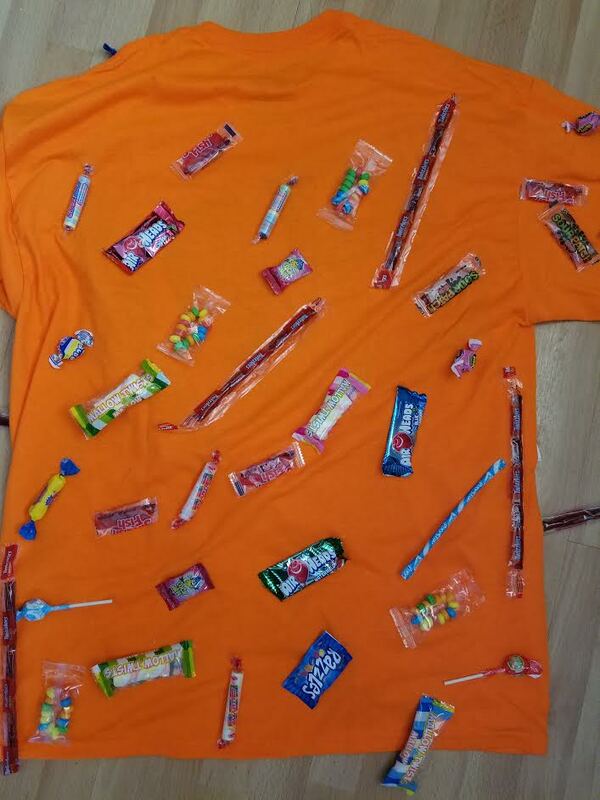 No tackling the person wearing the shirt just pull the candy off the shirt to win a treat. BONUS: THIS CAN BE WORN AS A HALLOWEEN COSTUME AND THEN YOU CAN EAT THE CANDY AFTER! If you wear this around kids they are not going to be able to resist taking the candy. A simple and classic game for all ages is ring toss. 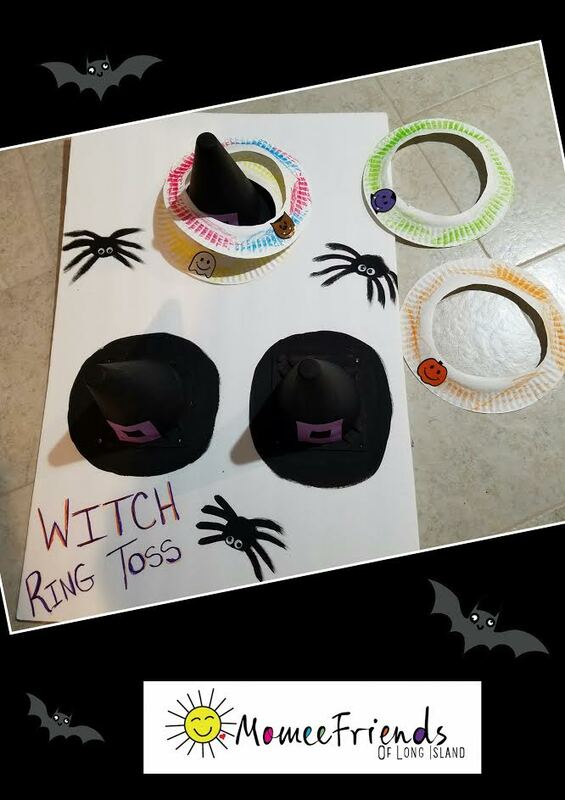 Make it a Halloween Theme by making witch hats out of dollar store cones and making rings out of paper plates. 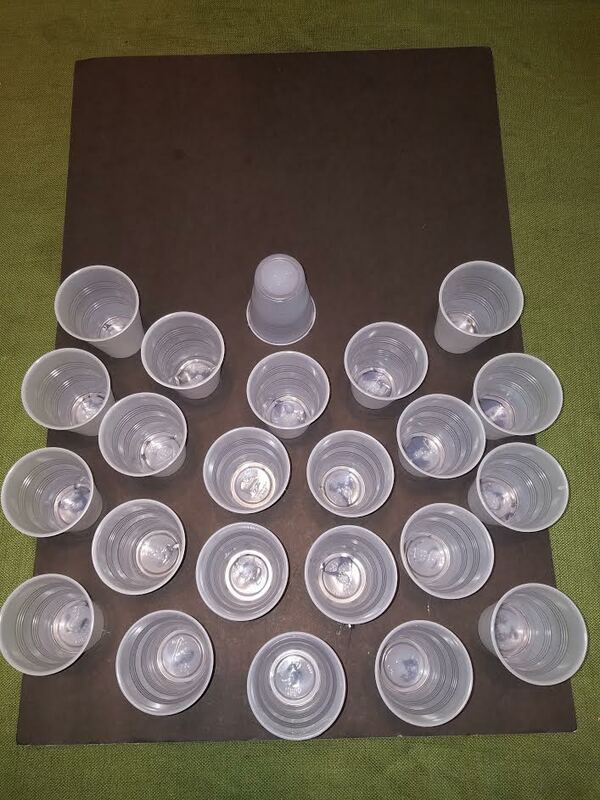 Then, put your prizes inside of the cups. 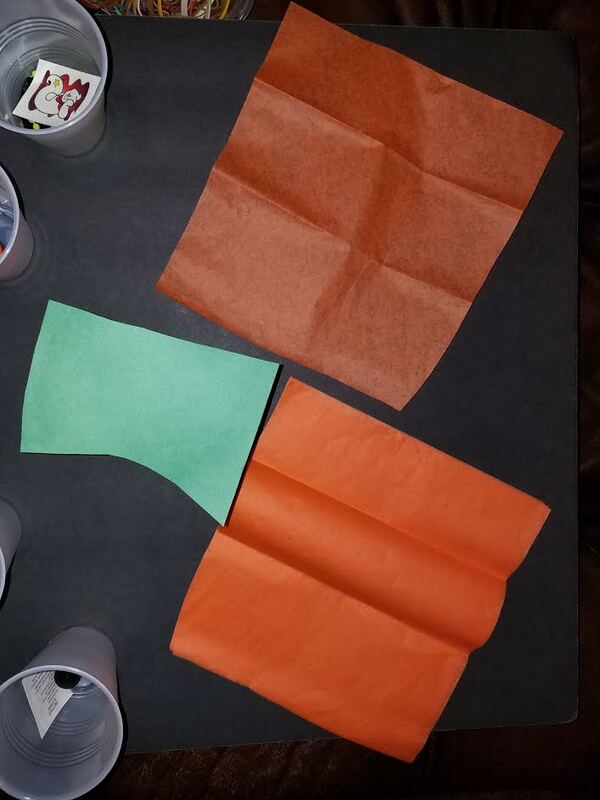 Cut a stem out of the green construction paper and glue it to the top cup that is facing down. Cut out large squares of orange tissue paper. 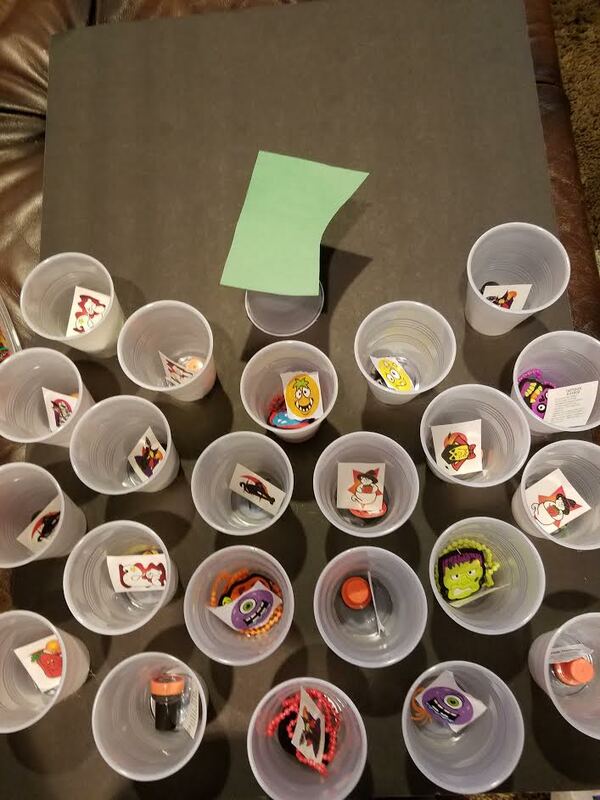 You want them large enough to cover the top of the plastic cup that the prizes are in and go about half way down the cup. 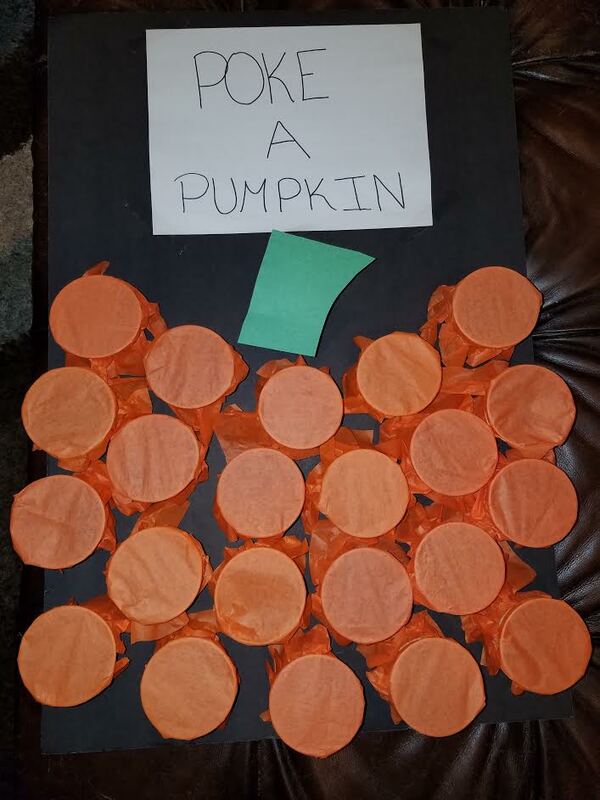 Cover each cup with orange tissue paper and then use a rubber band to secure the tissue paper on top of the cup. 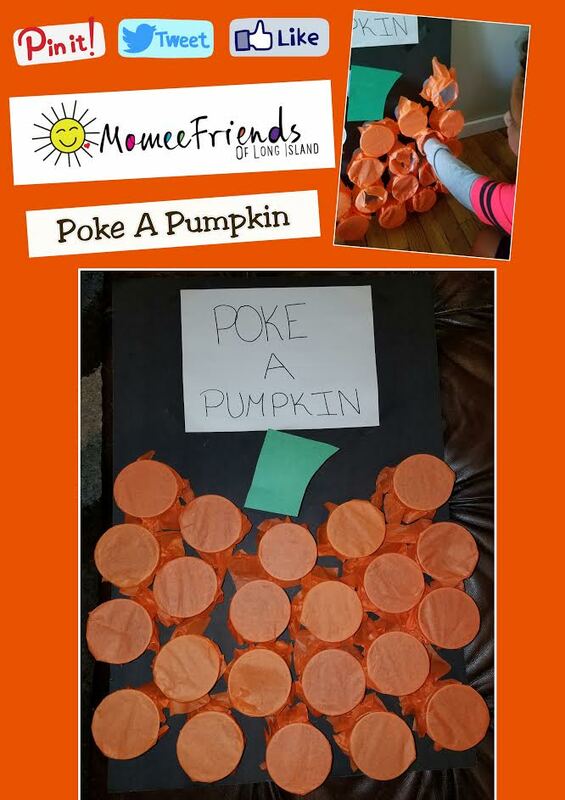 Have each child poke a pumpkin to get their prize. It is that simple and easy and everyone gets a fair chance of winning a prize. 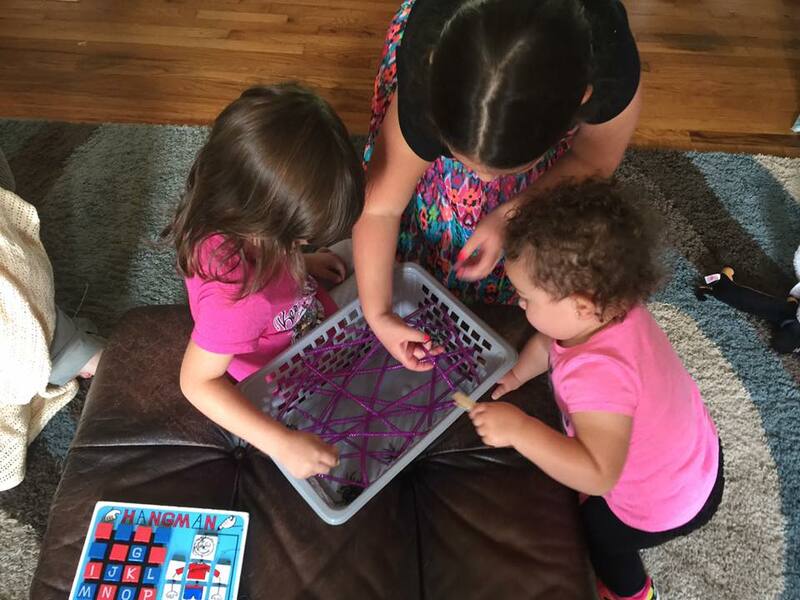 A great game for young kids to use their fine motor skills. 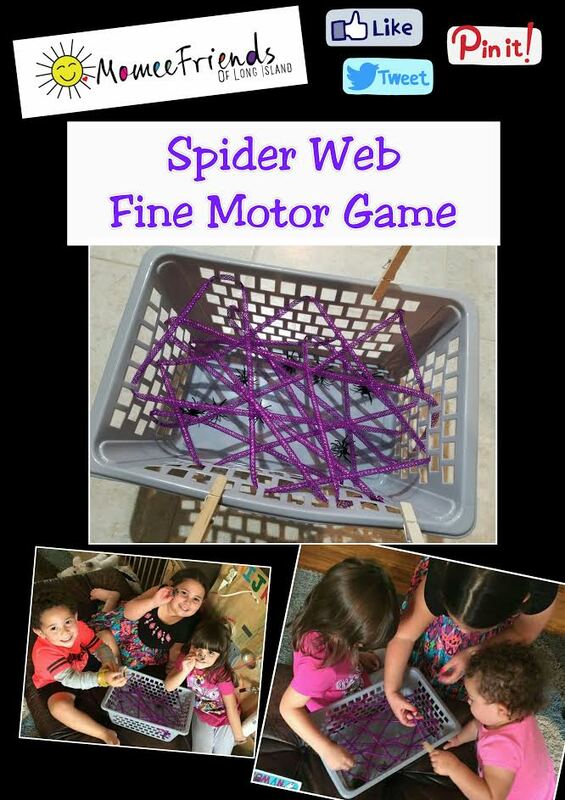 Make a web using your favorite ribbon through a plastic container found at the dollar store. 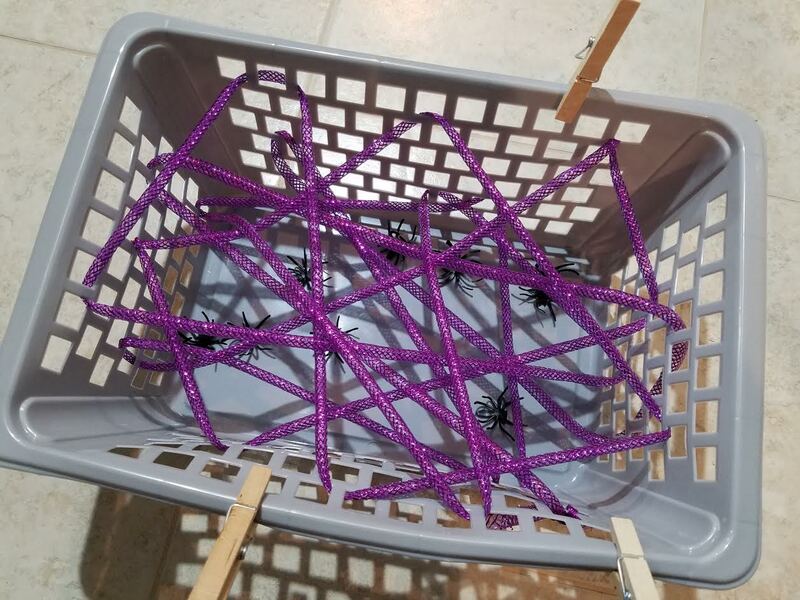 Put some spider rings on the bottom of the container and have your child pull out the spiders with the clothes pins. 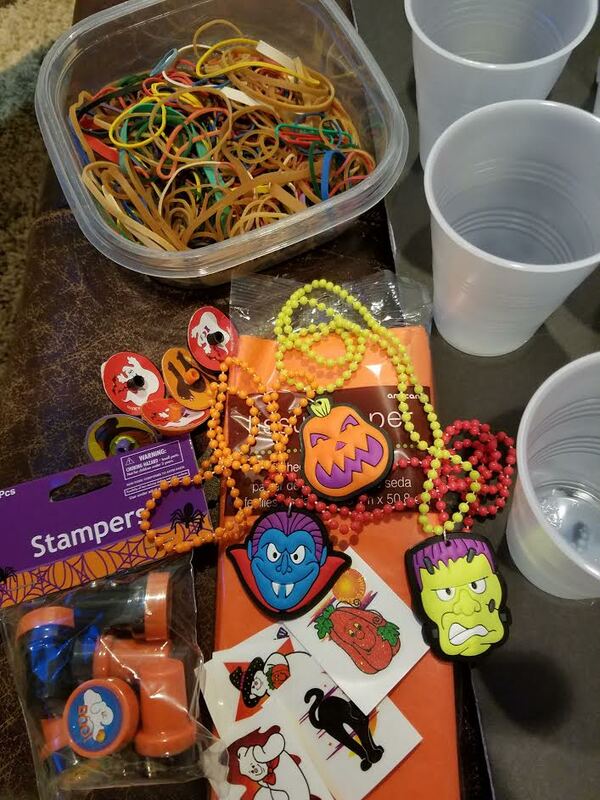 We hope you enjoy incorporating all of these fun game ideas into your next Halloween Party whether it be at home or in the classroom. 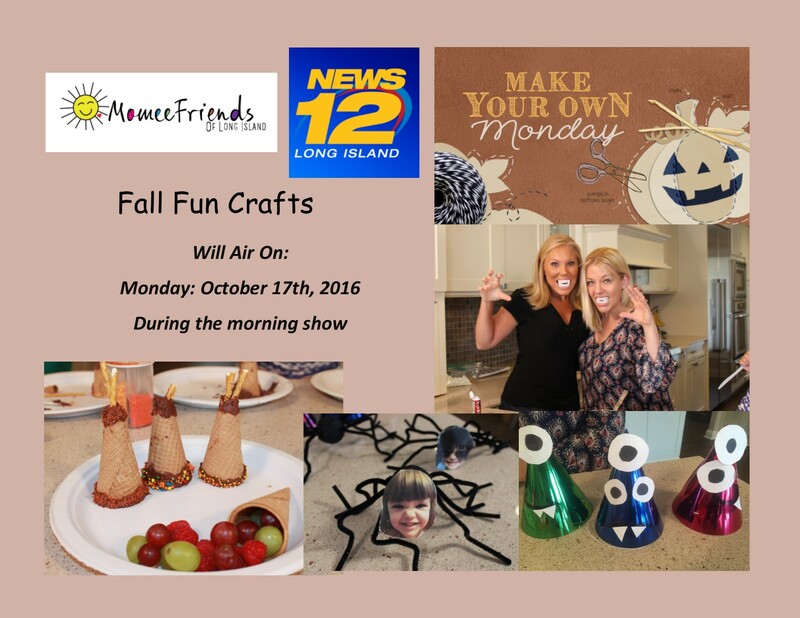 Please tune into News 12 this Monday- October 17th, 2016 during the morning show to see these games played on air in one of our fun segments.